Bali Restaurant Yakiniku Sakai located in Kuta along bypass which they are famous Ｊapanese yakiniku restaurant in Japan. The location is near by Kuta area so you can stop by while shopping. 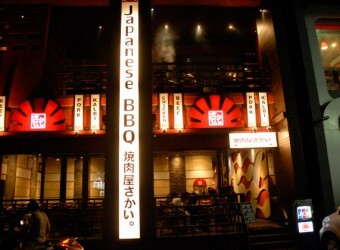 They offer authentic yakiniku (grilled meat yourself) with charcoal fire. It is recommend for family and group guest.